Like so many people her age, Harriet threw her thoughts down on a blog. However, her reasons for writing were different from her friends, and it was clear from the outset that she was a writer first and foremost. 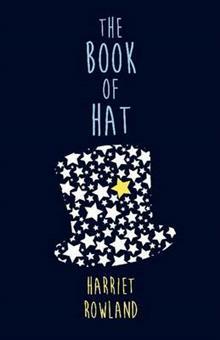 The Book of Hat captivates the reader with its facility for express... read full description below. Like so many people her age, Harriet threw her thoughts down on a blog. However, her reasons for writing were different from her friends, and it was clear from the outset that she was a writer first and foremost. The Book of Hat captivates the reader with its facility for expressing everything from the ordinary stuff of life to the almost unspeakable. And part of its charm for readers young and old is the author's ability to find happiness and good luck wherever she looks. This is one of the year's surprising reads: an upbeat book about living with cancer. Harriet Rowland -- known as Hat -- was 17 when she was diagnosed with osteosarcoma, a rare form of cancer that began in her knee. At the time she was a student at Queen Margaret College in Wellington, New Zealand. Going through treatment was often a lonely time, as friends -- while supportive -- didn't always understand Hat's new life. This was until she fell in love with the character Hazel Grace from John Green's novel The Fault in Our Stars, a girl who talks honestly and openly about living with cancer. Like her, Hat found life changed in ways that were both good and bad: falling in love and hospital stays among them. And she was surprised by how much happiness there was still to find. Throughout her journey, Hat has kept a blog called My Experience of Walking the Dog, and this book is a collection of those posts edited with the author. Why the blog title? Her parents say cancer is like a dog -- fine if it stays in its own yard. Hat's dog got out. This is her unexpected story.